SACRAMENTO, Calif. /California Newswire/ — Today, Calif. 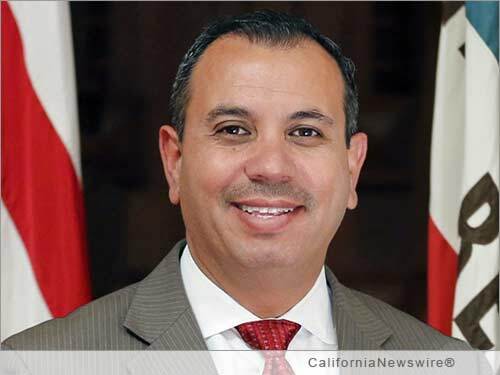 Governor Jerry Brown signed SB 708 authored by Senator Tony Mendoza (D-Artesia), which will address childhood hunger and improve access to the National School Lunch and Breakfast Programs. The bill will direct schools to make applications for free or reduced-price meals available electronically online, to provide them in multiple languages and to follow uniform standards. The bill goes into effect on January 1, 2016. “It is simply unconscionable that there are children who go hungry throughout the school day due to something as simple as a language barrier or the inability to access an online application. SB 708 is a simple fix that will enable thousands of children to get at least one meal a day,” added Senator Mendoza. The National School Lunch Program and the School Breakfast Program are federally-funded meal programs operated in public and nonprofit private schools and residential child care institutions. They provide nutritionally balanced, low-cost or free breakfasts and lunches to children each school day. The National School Lunch Program was established in 1946 and the School Breakfast Program in 1966. In California, all public schools, except charter schools, must serve at least one free or reduced-price meal during the school day. SB 708 will require every school that currently provides online access to free or reduced-price meal program applications to make them available in multiple languages. In addition, the bill requires the online application be uniform and comply with child privacy rights and disclosure protections. Currently, school districts are not required to provide free or reduced meal program applications electronically online or follow any uniform standards. In 2012-13, approximately 3.7 million of California’s 6.2 million school children were eligible for free or reduced-price school meals. To be eligible for the meal programs, the household income for a family of four must be less than $43,000. According to the California Department of Education, during the 2012-13 school year, more than 3.1 million students participated in the National School Lunch Program and more than 1.3 million in the School Breakfast Program. “In California, more than 2 million children live in poverty and are in danger of going hungry. Research has shown that hunger in children has a lasting impact on their health and success in the classroom. We must do everything we can to end childhood hunger, because these children are California’s future,” said Senator Mendoza.